Hi I'm Rob Lowe and I use CU Later Bugs to keep my home pest free. My neighbor is meathead Rob Lowe and he uses some other pest control company. While I am relaxing at home enjoying not seeing and bugs all I can hear is meathead Rob lowe next door screaming BRO at his roaches. Don't be like meat head Rob Lowe, call CU Later Bugs today for a professional quick and bug free service that will keep you smiling. I was pleased with my services and this company did not rip me off. CU Later Bugs is a very professional company. The service they provided was alright, alright, alright. And by that I mean they were excellent. 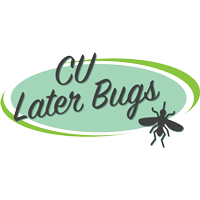 The CU Later Bugs team did an incredible job with getting rid of bed bugs in my apartment. The were extremely professional and worked around my schedule to help eliminate the bugs. Thank you CU Later Bugs!